Hasno Ali, a Women's Empowerment International (WE) STAR Client and chef, left, sits with Leigh Fenly, co-founder of WE. Hasno, a Somali Refugee has been able to start a catering business with the assistance of WE's STAR Center. "My husband was a leader in our community," said Hasno Ali, a refugee from Somalia who was teaching an African cooking class as part of the Women's Empowerment International (WE) STAR Center's Cooking Class Series. "So lots of people were always visiting," she continued. "I cooked a goat–sometimes two goats–a day to feed everyone." Leigh introduces Hasno to the students gathered at the Center for Healthy Living in Solana Beach, California. This statement brought a round of laughter from the collection of nine or so women gathered to watch Hasno cook. Two women in the audience were also from Africa and came to learn how to replicate a taste of home. Another, an immigrant from China, was looking to expand her knowledge of international cooking. There was also a woman in attendance who had adopted two beautiful young girls from Ethiopia–both joining their mother for the class–and wanted to be able to help them keep ties with their native culture by learning some African dishes. Hasno lead the class with an obvious enthusiasm to share her native cooking. Not wanting to pound on the tables inside the Center's kitchen, Hasno walked outside to crush her African turmeric root for her spice mix. 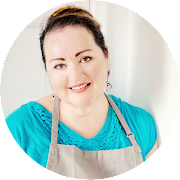 Hasno's warmth and passion for cooking and teaching her native cuisine shines through her heavily accented commentary. Happily, she walked amongst her eager students encouraging them to smell the various spices which quickly perfumed the kitchen at The Center for Healthy Living in Solana Beach. Hasno explains the differences between store bought Madras curry powder and her own homemade version. "I like to make my own," said Hasno. "It tastes much better. Fresher." Hasno sells her homemade spice mix at a few farmers markets around the county. Hasno's students for the day. "I love to cook," said Hasno. She enjoys cooking the foods of her homeland which are healthful vegetable-rich dishes as well as the food of Ethiopia, where she lived until the age of 10. She learned much of her cooking from her Ethiopian grandmother. Her father's mother was South African and it's that cuisine that she shared on this warm Sunday morning. Hasno was assisted during the class by a WE intern who often acted as interpreter when Hasno was at a loss for the right words. When asked if her children also enjoyed cooking, she laughed and said no. In fact, her younger children used to be jealous of her spending time cooking for others. "Cook for us only!" they would tell her. Hasno adds coconut milk to a hot pan. With humor and an enthusiasm to share, Hasno sprinkled the class with anecdotes from her life and homeland. At one point during the class, she and her assistants realized there was not a can opener to be found anywhere. So Hasno, to the collective gasp of her students, took her 10" chef knife to the can of coconut milk. Upon successfully puncturing the can–twice– she turns to the class, holds up the can and says, "It's the African way to open." And everyone let out a sigh of relieved chuckles as she poured the milk into her pan. Talapia is rinsed, patted dry and then dredged in Hasno's special spice mix before being added to a pan of hot oil that has been perfumed with more of her spice mix. Preparing the batter for the fritters. Hasno insists on using the freshest ingredients possible. "We are all healthy in my family," Hasno told me. "We eat only the food I make and it's all good. We only go to the doctor once a year (for a check-up)." When I asked her if fast food or processed food ever made an appearance in her home, she merely laughed and said never. Here, the black-eyed pea fritters sizzle in the pan. Similar to a falafel, however, because Hasno starts with dry peas that are briefly soaked, skins removed, and then immediately blended, the fritters are extremely light and fluffy in texture. The morning's menu consisted of Black-eyed Pea Fritters with Hummus on Pita, Fish Stew with Coconut Milk, and Ugali (African Cornmeal Mush with Vegetables). It was all very delicious. The class was held at the Center for Healthy Living in Solana Beach. It's an intimate setting perfectly suited to the warmth that pours out of Hasno. As Hasno flittered between dishes like a master chef who clearly has been cooking for years, she continued with a few stories about her life. Some ingredients for Ugali, an African cornmeal mush with vegetables. Hasno, adding the kale for the Ugali to a pot of spices and garlic as her youngest daughter looks on. Hasno's husband, a chief in their community in Somalia, was working with the U.S. Embassy when civil war broke out. The embassy helped the family escape the war and move to the U.S. Unfortunately, shortly after arriving in San Diego, Hasno's husband died suddenly of a heart attack. Hasno was left to take on the full financial responsibility of supporting her 11 children. "It was bad but I was so happy we were already here (in the United States) when he died," Hasno told me, voice cracking with emotion. "If we were in Africa when it happened, some of my children would have died of starvation. We would have gotten no help from the government. From no one. But here, we got assistance." A few years ago, to help earn some money to support her family, she took on helping a woman who was selling food at the Hillcrest Farmers Market. Clearly a better cook, Hasno was put to cooking the entire menu solo, creating dishes that became sellouts to an eager crowd. The woman gained a reputation for providing scrumptious authentic African dishes – only she wasn't cooking. Hasno was. And for all of her work, Hasno was only being paid $20 for the day. It was Hasno's elderest daughter, now 22 years old and in college, who, after three months of this, told her mother, "Enough! You need to be doing this for yourself not cooking for someone else." Together, they went and applied for the permits and licenses needed to begin selling at farmers markets. After the cooking demos were complete, students were encouraged to make their own plates after being shown how to serve it. Samples of Hasno's spice mix for students to take come with them. Now with assistance from the Star Center, Hasno has her own catering business, East African Cuisine and has recently purchased a food truck. "We already have a space Downtown on 16th Street," she told me. "We are just finishing all the paperwork for the permits." Hasno recently catered a few events including one for the Peace Corps where she prepared a meal for 200 guests and one for World Refugee Days which found her cooking for 500 people. "I love to cook," she said again. "I can cook beef, lamb, chicken, goat, fish, everything. Give me some time, and I can show you how to cook everything, too." With the goal of helping the 3 billion people in our world who live on $2 a day or less, WE, a San Diego-based nonprofit organization, is committed to improving the economic lives of women and their families by providing grants, microcredit and education to women in Mexico, Honduras and Africa. Working with nonprofit banks in the countries in which they provide aide, WE helps fund loans as small as $50 so that women entrepreneurs can sell their food stuffs, clothing and housewares at local markets thereby empowering them to support their families. No salaries are paid. The organization is 100% volunteer run. "We didn't want to be like so many non-profits that automatically skim 25% off the top of their donations to pay staff or a director," says co-founder Leigh Fenly. "We're run by volunteers committed to the cause and all of the money donated goes to the women who need it." In San Diego, the WE Center for STAR (Support, Training and Assistance to Refugee) Women enables refugee women to start modest businesses, augment their families' incomes and reduce or eliminate their dependence on public assistance. The Center, a partnership with the International Rescue Committee, provides technical support, business training and access to loans and grants. And WE volunteers work individually with clients to help them develop their businesses. In just two years, the Center has launched or expanded 36 businesses and assisted 57 refugees with their business needs. WE is committed to the STAR Center's success because it is a pivotal resource for women in San Diego's growing refugee communities. Consider becoming a member of WE. By doing so, you're helping to cover the organization's overhead. Or you can make a tax-deductible donation to help with loans and services. You can even request that 100% of it goes towards the women in the country of your choice. You can also volunteer your time by contacting womens.empowerment@cox.net. To make a donation, go to http://womenempowerment.org/donate.php. To become a member, go to http://womenempowerment.org/join.php. For more information about WE, visit http://womenempowerment.org. Rinse the garbanzo beans and drain. In a deep saucepan, bring beans and water to a full boil. Add water as necessary to keep covered. Cook on high simmer about 1 1/2 hours or until barely soft. Drain. In a blender, combine salt, sesame oil, mayonnaise, canned jalapeños and juice. Blend until smooth. Add lemon juice and garbanzo beans and blend again. Set aside. In a bowl, cover black-eyed peas with water and let soak for 5 minutes. Pulse in a food processor with some water in small batches. Remove all the peas to a large bowl and add cold water to cover. Skins will rise to the top. You may need to rub the peas between your hands to separate all the skins. You can add more water to help separate them. Remove skins and discard. Drain peas. Use a blender to blend black-eyed peas, onion, fresh jalapeno peppers, juice and garlic in batches. Remove the pea batter to a large bowl, add salt and stir. You may need to add water to achieve the consistency f a smoot, thick paste that will cling to a spoon. Heat olive oil in a deep skillet. Beat the batter with a wire whisk or wooden spoon for a few minutes. Make fritters by scooping up a spoonful of batter and using another spoon to quickly push it into the hot oil. Fry the fritters until they are golden brown, turning them once. Warm pita bread. To serve, fill pita bread with two black-eyed peas fritters, a generous dollop of hummus, and a lettuce leaf. *Note: With the success of the last few classes, WE is planning on holding more in the near future. Once details are worked out, I'll post a schedule here and on our Facebook Fan Page. What a great story - thanks for sharing! I love the Center for Healthy Living...I'm headed down there in an hour for a kids' cooking class. Fun to see how the community cooks together! Hi Stacy! Yes, my goodness, smell-o-vision! That little kitchen smelled so awesome.